When freezing cold weather strikes, as adults we know what to do to keep ourselves warm – but what’s the best way to keep our kids warm? January often brings a prolonged cold snap with temperatures often plummeting below zero degrees. We all know how challenging childcare can be during a spell of cold weather. We really want them to play outdoors but it’s easy to avoid it because we worry that they’ll be back in two minutes flat, complaining of frozen fingers or slipping on the ice. 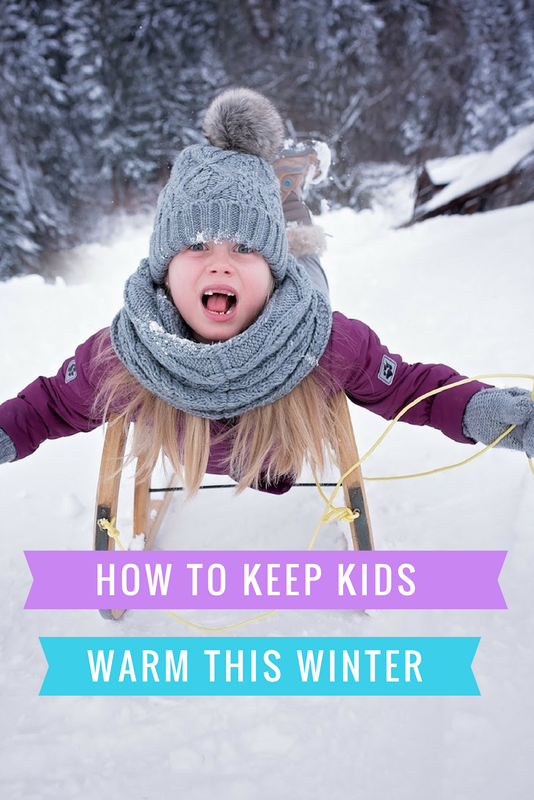 As you might imagine, Norway experiences much lower winter temperatures than we do – often -10 degrees so here are some great tips for keeping kids warm in winter from childcare expert Elaine Kobbeltvedt. Elaine is a mother and grandmother with more than 25 years of childcare experience, having run her own family of nurseries in both Scotland and Norway. Want to know how to protect a child from the cold? Read on. The Norwegians all use the layering concept when it comes to dressing children for cold weather. Place a layer next to the skin which is made from a soft material to prevent any rubbing or irritation, then add a fleece layer to keep them warm. Over the top of this, you then add another layer of a coverall or rainsuit (depending on the weather) to protect them from the elements. This ensures the child is kept warm and protected but prevents overheating from too many bulky items because us Brits tend to just pile on jumper after jumper! Heads and hands always need to be kept warm and covered to prevent frostbite and cracked skin which can be really painful for a child. Shoes and boots need to be waterproof and preferably lined. Don’t forget thick socks if the footwear allows it, or two pairs of thin socks. Use the layering concept and invest in children’s clothing ranges designed for cold weather, such as Tiny Trolls of Norway. The ideal cold weather clothing will allow children to stay warm but still move around with ease. Bulky layers will restrict their freedom of movement. Ideally, kids will be active and enjoy the fresh air, rather than getting chilly – and grumpy! Elaine recommends putting a cold cream on a child’s face as an extra protective layer against the elements. But make sure it isn’t a water-based product or the water can freeze on their skin. Two great creams to try are Weleda Weather Protection Cream which is a water-free cream to protect babies and small children against the wind and cold, and Eucerin Aquaphor Soothing Skin Balm which can be used to treat dry spots and chapped skin or lips and is suitable for the whole family. There are plenty of ranges which offer gentle skin care for little ones, especially those who are prone to eczema. You might also consider a Tusseladden which is an all-weather coverall. These can be used all year round as they are totally breathable. This makes them just as useful for the great British summertime when it may be a bit windy or rainy, but not too cold, and great as an outer layer for cold winters when the mercury plummets. Comfortable and easy to take on and off, you can find ones for the under-3s which have a handy two-way zip for quick and easy nappy changes. Do you have any winter health tips for kids to share? Do you wrap your kids up and send them out to play? 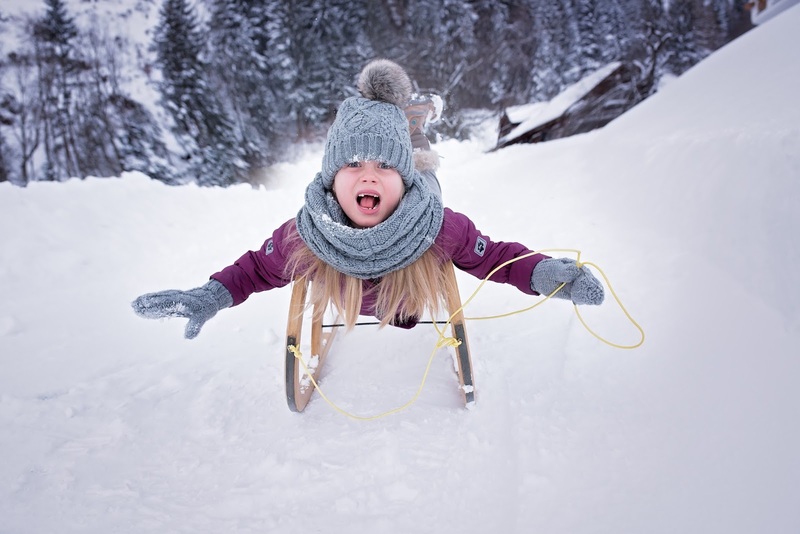 The best way to keep our kids warm might simply be to wrap them up and let them roll around in the snow! "Is The Secret To Happiness Living Life By Your Values?" "My Problem Page – Edition 1 2017"